Municipal Infrastructure Financing provides an overview of the municipal finances and the extent of private sector involvement in the delivery of municipal services in selected Commonwealth developing countries. Four cities are examined in detail: Dar es Salaam in Tanzania, Kampala in Uganda, Dhaka in Bangladesh, and Karachi in Pakistan. 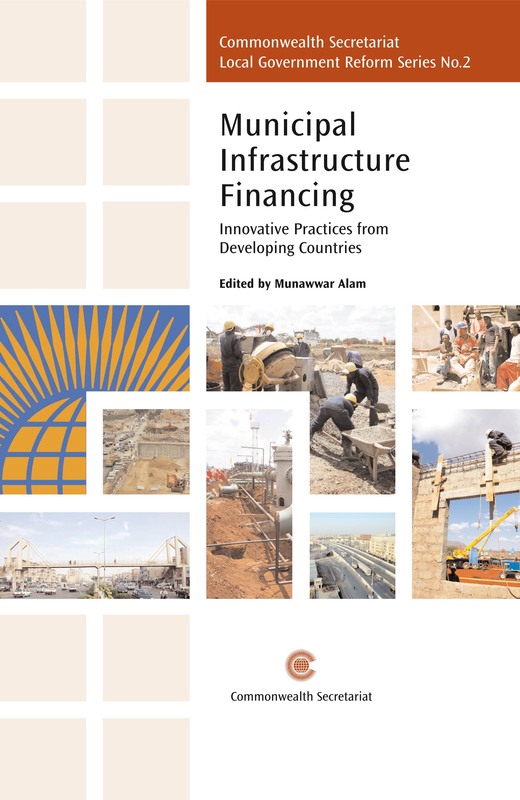 The book presents some innovative options for alternative sources of municipal infrastructure financing, including attracting private sector participation, based on the successful experience of other developing countries. It also identifies the key challenges in municipal financing, and any broad institutional and financial strengthening measures that are required to tap alternative sources of financing for growth-oriented municipal investments. Overall, this slim volume is a very useful addition to the literature on decentralization and municipal infrastructure finance. It serves as a quick reference to the state of international practice and trends in municipal financing of public infrastructure as well as the particularities of these four countries. The list of primary sources consulted and extensive list of secondary references used at the end is quite helpful. The case studies are illuminating, highlighting how rapid urban growth combined with high levels of urban poverty, incomplete fiscal decentralization and undeveloped financial markets combine to frustrate municipal infrastructure development. Although the challenges are similar, the structure of administration and decentralization processes differ by country, as well as possibilities for locally sourcing revenues, which in turn shape the strategies that governments pursue to fund public services provision. This practical toolkit, the first of its kind, documents all sources of innovative finance for development (IFD) in one place according to a set criteria and assesses the sources against a set of effective finance principles. It will help policy-makers to find new sources of IFD and new ways to deliver traditional sources of finance more effectively to fund their development goals.